Have we allowed ourselves to become psychological androids - putty and/or expendable cannon fodder - in the hands of the corporate / military elite of this nation and its subservient corporate-stream media? Read more about Is the United States A Nation of Psychological Androids? Will the Commons Become Tragic? Every man for himself would be a (more or less) rational approach to life ... if men and women were merely economic creatures. But there is also such a thing as moral man. And it is moral man (and woman) who confront the necessity of protecting the commons and preventing a tragedy brought on by greed. It is quite possible that the greatest human challenge in this century will be how or whether we humans can fairly share what belongs to all. Aristotle stated the issue: "... what is common to the greatest number has the least care bestowed upon it. Everyone thinks chiefly of his own, hardly at all of the common interest." Garrett Hardin summarized this issue for the present age: "Ruin is the destination toward which all men rush, each pursuing his own best interest in a society that believes in the freedom of the commons." Our economic system is built on the proposition that markets allocate resources best. But what is true of private resources may not also be true of public resources, those we hold in common. The conservative response to this is, of course, privatize all public resources. 20 years ago this was accomplished in Russia, and about a dozen and a half oligarchs ended up with most of the public assets. One way or another, if the problems of a city, a state or a nation are neglected, those problems will spread and eventually end up on everyone's doorstep. Forget empathy, generosity, humanitarianism or Christian charity. Be selfish, but still grasp this hard truth: Taxes are anarchy insurance, the fee we pay to guarantee we don't lose it all. Read more about Will the Commons Become Tragic? As embarrassing WikiLeaks documents continue being released to the mainstream media, the response from frustrated commentators ranges from “execute him” [Mike Huckabee, Fox] to “hunt him down like the Taliban” [Sarah Palin] to ignore him as “delusional” [Jeffrey Toobin, CNN]. In both cases, the dangers are real. 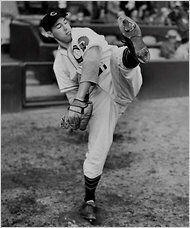 Bob Feller, who came off an Iowa farm with a dazzling fastball that made him a national celebrity at 17 and propelled him to the Hall of Fame as one of baseball’s greatest pitchers, died on Wednesday in Cleveland, where he had played for the Indians for 18 years. He was 92. The Indians said the cause was leukemia, which had been diagnosed in August. 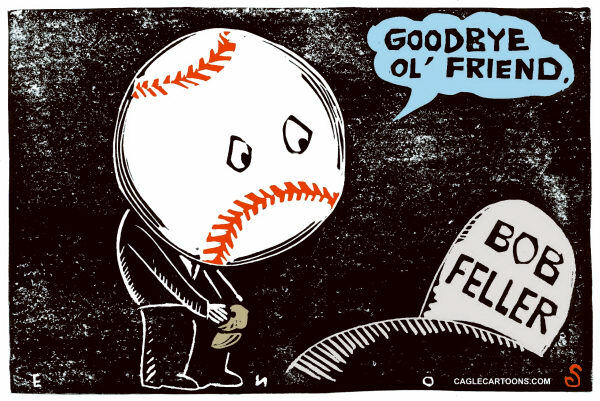 Feller, who lived in Gates Mills, Ohio, a suburb of Cleveland, had recently been treated at the Cleveland Clinic for pneumonia and was at a hospice at his death. If Mr. Wilf wants partial public funds for his new stadium, we should demand public ownership of the team. And if Zygi doesn't like it, he can talk to the complaints department. I have long believed that it would take an "Act of God" for Minnesota Vikings owner Zygi Wilf to get a new publicly financed football stadium. After all, despite Wilf's pleadings and threats, taxpayers are less than eager these days to subsidize the billionaires among us. This is particularly true in Minnesota, where the Twins just opened a new publicly funded ballpark despite the fact that in 2007 a freaking bridge collapsed in the Twin Cities, sending 13 people to their deaths. Clearly there are other priorities for public funds. 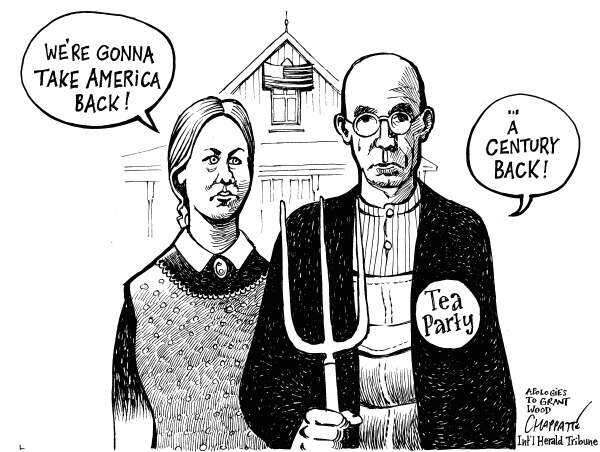 Cue the Neoliberal Almighty. In a scene that looked like an outtake from Kirk Cameron's latest Left Behind epic, the Metrodome's roof collapsed under 17 inches of snow.<> The debris hadn't even been cleared before team president Mark Wilf (no relation to Zygi--just kidding it's his kid brother) said that it would be "premature to discuss" whether the collapse "changes the debate over a new stadium." Comcast's attempt to introduce fees for Netflix streaming has consumers on red alert. Appropriately so. The chairman of the Federal Communications Commission (FCC) is rumored to be open to pay-as-you-go charges. Access to old movies online via Netflix has nicely defined key Internet regulatory issues in a way that arcane debates over net neutrality never captured consumer attention. Web users are watching how the Federal Communications Commission (FCC) handles a dispute between Comcast and Level 3 Communications, the Internet distributor of Netflix videos. Whose side is the FCC on when it comes to access — the public's or self-serving corporate interests with the ability to erect toll booths on the Internet? This tension foreshadows an announcement later this month by FCC Chairman Julius Genachowski over net neutrality and its core elements of consumer protection. The slippery slope is evident in hints the chairman is open to pay-as-you-go plans. Consumers would pay for the amount of time they use the Web. Tiered pricing is the term of art. Apparently FCC Chairman Julius Genachowski expects the millions of Americans who have spoken out for Net Neutrality to buy this lemon when the FCC meets to vote on his rules on Dec. 21. On December 8, 1980, John Lennon was murdered outside of his New York apartment building by a deranged fan. Three days before John Lennon was killed, Jonathan Cott spent hours interviewing him for a planned cover story. The complete Q&A, which is running in the new issue of Rolling Stone — available on stands, as well as in the online archives — has never been published before now. On this page you can find our web-exclusive companion coverage to the piece — everything from audio clips from the interview to a gallery of Lennon and Ono’s years in New York. What does it say about our world that the most basic of human comforts—a park, a fire, a place to sit—are assumed to be inaccessible to the average person? We must not let the commons be privatized. At the public eye: Citizens check out a 30-foot-tall sculpture by artist Tony Tasset in Pritzker Park on July 7, in Chicago, IL. On a recent weekend evening graced with unseasonably warm weather, I invited a few friends and family members to spend the twilight hours at the public park near where I live on the south side of Chicago. The park, situated on a tiny promontory that juts into Lake Michigan, is well-used thanks to its beautiful views of the skyline and proximity to the lakefront bicycle path. We brought a picnic dinner and sat on stone benches encircling a fire pit, where we built a small fire and enjoyed the warmth, light and camaraderie offered by the makeshift hearth. Fires were a catalytic invention in human evolution. Not only did they allow us the physiological benefits of cooked food, but they also brought us together in a shared reliance on common resources, laying the foundation for cooperative social structures. Whenever I sit before a fire, I imagine what our earliest ancestors must have felt as the heat drew them close, providing refuge from the threats of the night in those times before man was the conqueror of all he saw.